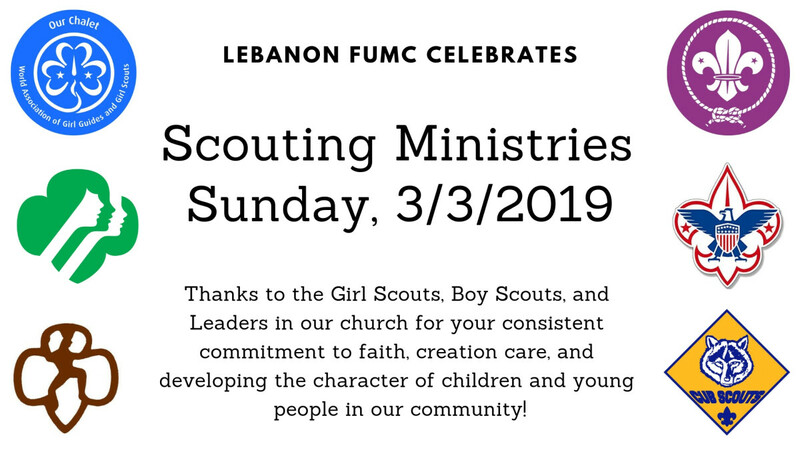 Scouting Ministries Sunday in The United Methodist Church brings attention to the importance of an outreach ministry that 6,700 United Methodist churches offer to more than 550,000 youth. Surveys show that 50 percent of these kids come from unchurched families. Attending a Scout meeting may be the first time a young person walks through a church door. That welcome is a teachable moment that churches can use to help a boy or girl explore faith and begin a spiritual journey.